California’s recent revisions to Title 24 put in place ambitious performance goals: all residential buildings must be Zero Net Energy (ZNE) by 2020, and all commercial buildings must follow suit by 2030. The code also applies to retrofit projects that pass certain thresholds. (A ZNE building produces as much energy on-site as it consumes on an annual basis.) These changes promise to reshape the construction industry in significant ways — and not just in California. Here’s how. Drive adoption of building energy codes. 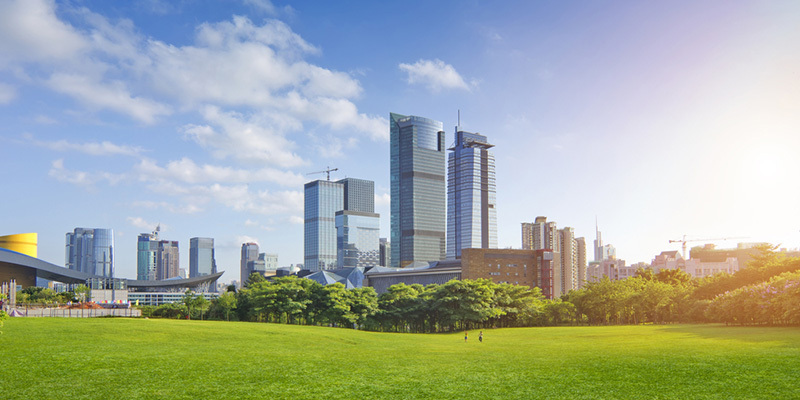 Already all but seven US states have commercial building energy codes in place, and many are continually updating to the most recent (and increasingly stringent) standards. The codes are also becoming increasingly performance-based — for instance, the latest version of the IECC includes an additional performance-based pathway that’s already popular in many states. California’s Title 24 raises the bar — and simultaneously raises awareness of what’s possible. As the construction industry rises to California’s challenge, it will also be building the capacity to achieve similar results elsewhere. Expect the adoption of performance-based energy codes to accelerate throughout the US. Speed the development of building monitoring and management technologies. Rather than incentivizing one-off strategies like better light bulbs, the Title 24 revisions focus on delivering measurable whole building energy reductions. This will create a large market for an array of “smart building” technologies required to measure and manage energy use across a wide range of building types. Essentially, California is using its purchasing power as the ninth largest economy in the world to spur the development of technologies around management of peak energy loads, plug load controls, advanced lighting controls, demand response technology, and more. Accelerate on-site energy storage. California is aware that a steep increase in renewable energy must come with an investment in a smart electricity grid — and energy storage is a key part of the equation. Storage is intended to help address the intermittency of renewable energy generation, and can also improve the resilience of the electricity grid overall. Watch for building-level storage technologies to become more numerous, more efficient, and cheaper. Reduce the cost of high performance building. California’s code provides certainty around the market for high performance buildings and related technologies. This will drive increased investments in these technologies, which in turn will drive down costs. An emphasis on real energy savings will also improve financing options for buildings that can deliver a clear return. (Read more on how designers are delivering high performance at low cost.) In addition, Title 24 will spread Zero Net Energy know-how throughout the construction industry — to architects, engineers, builders, and suppliers. This familiarity is a critical step toward reducing costs and mainstreaming high performance design. Architects and general contractors that have competitive advantages in smart building technologies will be in the position to bid jobs that include building performance assurances to building owners and sources of capital. The building industry is now entering a new bid environment where bids are won not only on price but also on performance assurances. While Title 24’s mandates apply only to California, its effects will have ripple effects throughout the construction industry — ultimately driving down the costs of high-performance building while raising expectations and stimulating demand.